A picotee with six tepals. Extending from the center of the flower are six stamens with long, white filaments and yellow anthers. 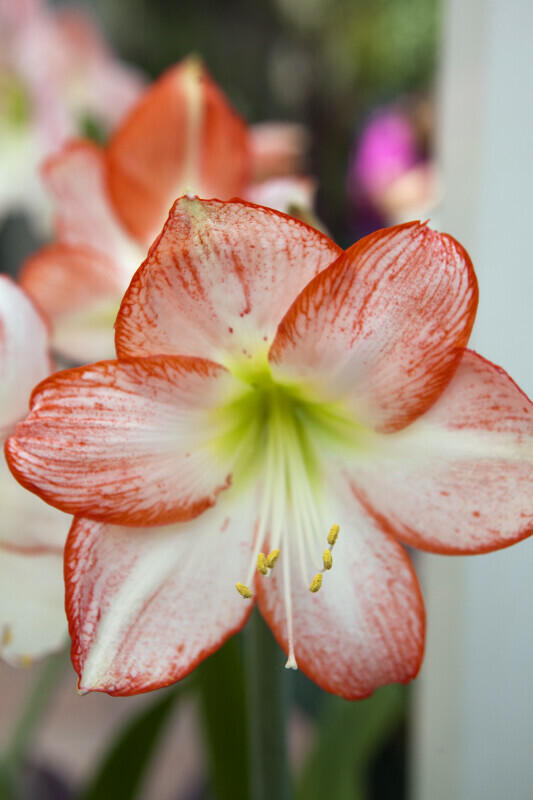 There is also a long, white style extending from the center of the flower. At the end of this style is the stigma (white). The style, stigma, and ovary (not shown) are the female parts of a flower. The anthers and filaments are the male parts of the flower. WARNING: You are about to download a 35.3 MB TIFF!